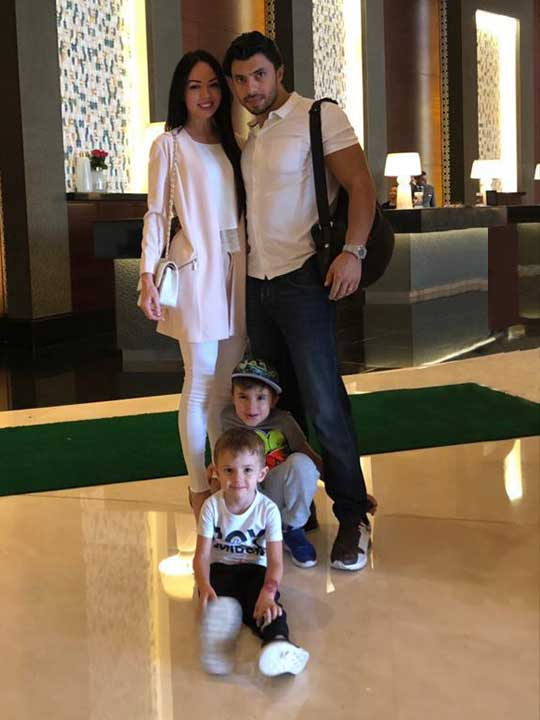 Dubai: Firas Al Msaddi knew very early on as a child he wanted more from life. Raised in Homs, a city in western Syria, Msaddi was ambitious and competitive. Trading is in his blood. Indeed, Msaddi posseses a rare quality that almost magically allows him to sell practically anything. From shoes to firecrackers, Msaddi traded whatever he got his hands on. He found it thoroughly satisfying that he could hack this trade. Msaddi’s father was his first fan. He realised his son’s potential when he was a little boy. And yet that burning ambition was buried somewhere during Msaddi's growing up years. When he turned 21, Msaddi saw the ceiling, literally. “I was staring at a wall and it was not good enough for me. I looked at people around me and it was not good enough for me. I knew I had to do better. I had big goals and knew I had to get out of Syria,” said Msaddi. I was staring at a wall and it was not good enough for me. I looked at people around me and it was not good enough for me. I knew I had to do better. I had big goals and knew I had to get out of Syria for this. Msaddi came out of the confines of his homeland. “This gave me immense confidence. I looked for jobs out of Syria. I took many interviews and I was finally accepted for a job as a security staff for a mall in Doha. I just wanted to put my foot out and get out of Syria." I barely spoke English and it was a pre-requisite for any job overseas. Some friends who had just returned from the USA and I started spending more time with each other. My English gradually improved, and soon I reached a level where I could handle a basic conversation. Before long, he found himself in Dubai, after passing an interview for a saleman's job. Here, Msaddi was hired by to work for an Armani retail shop at the Deira City Centre. "I was accepted and I chose this over my previous security job,” said. 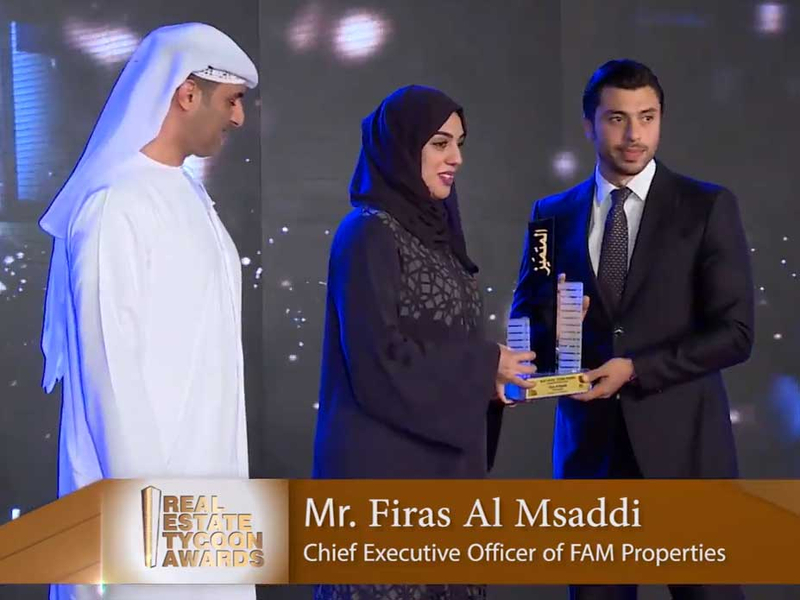 Fast-forward 15 years: Firas Al Msaddi, 35, is today the chief executive officer (CEO) of fäm Properties, one of the largest and most successful real estate brokerage firms in the UAE. 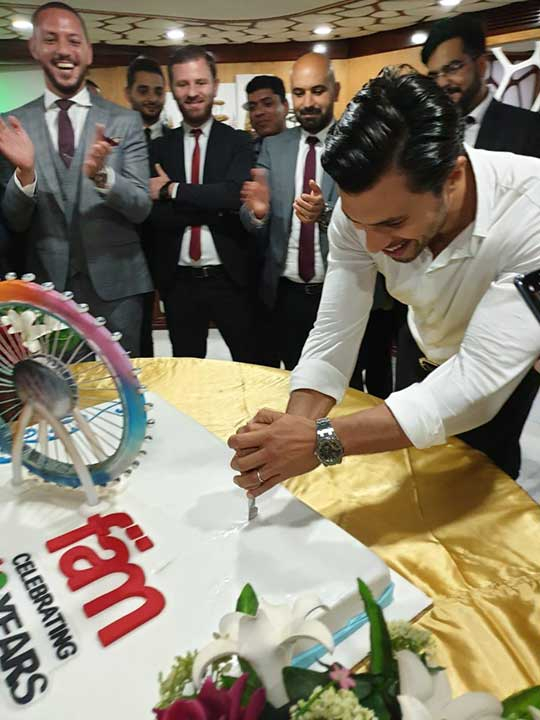 Today, fäm Properties employs more than 169 people inside a 7,000-square-foot office space in Business Bay. It exclusively manages and runs a real estate portfolio of over Dh2 billion, mainly in Dubai and another Dh300 million in Istanbul. 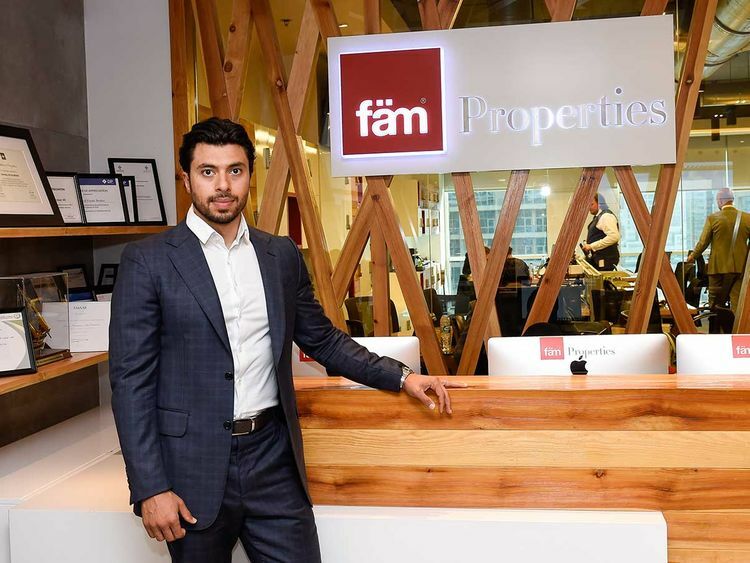 fäm Properties work with Dubai's nameplate developers. 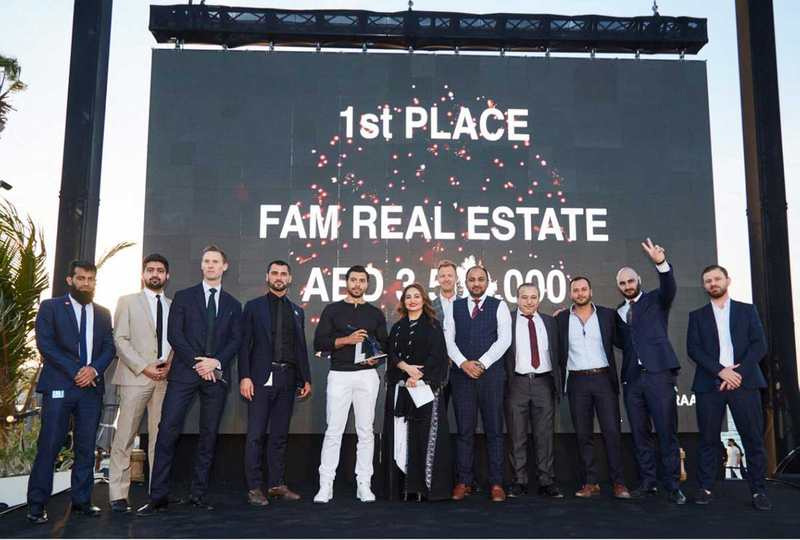 Since 2012, fäm Properties has been recognised as the top-performing property brokerage for Dubai Properties Group (DPG), a leading master developer at the forefront of Dubai’s most sough-after real estate developments. In 2017, the company earned a Platinum Agent award, the top-tier ranking of Emaar Properties, a leading global property developer (Burj Khalifa is one of Emaar's projects) and provider of premium lifestyles. That year, Msaddi also received the Real Estate Tycoon Award, organised by the Dubai Land Department. His company was also recognised as the highest-performing agents of Meraas, a holding company with portfolio in real estate, tourism, hospitality, health care, technology, retail, F&B, leisure and entertainment. Take this: For two years consecutively in 2017 and 2018, fäm Properties concluded one of the highest number of real estate transactions among property brokers, valued at close to Dh1.4 billion. And at the helm of it all is the man himself, Firas, who built a property brokerage empire through sheer grit and a burning desire to reach the top of the ladder. What brought Firas to this point is his firm grounding and sheer determination. In his first real job — a salesman for a retail store in Deira City Center, he worked double shifts. "This allowed me to learn on the job and pick up skills as quickly as possible." He did not take days off. “I would work from 9am until 10pm," he recalls. At the end of the first year, he won the best salesman award and was received a Bulgari watch from his employer. “I took up a sharing accommodation in Al Barsha and every day on my way to work and home I would watch the changing skyline of Dubai. I was so impressed with the way Dubai was growing." Watching people leave an office building gave him a strong desire to work in an office environment. Soon Firas was staring at the ceiling, looking for a change. He was offered a commission-based job at a realty company. But since it was commission-based, this meant he would not be on a retainer. There was no fixed salary. "So I took leave at my work place for a month and went to this realty firm for a part-time job,” he said. During that 30-day period, he closed several leasing deals. This fetched him quite a bit of money. So he went back to his job and handed in his papers. His new target: Get into the real estate business full time. Msaddi said the job, however, came with its fair share of challenges. Things went on like this for a while and the market started to hit a slump during the global financial crisis of 2008-09, during which the real estate market took a hit. In March 2009, at the peak of the financial crisis, Msaddi bought a real estate company that slid into bankruptcy. Back then, starting a real estate company was not considered smart. Everybody thought Msaddi was insane when he decided to take the plunge. The company was created with a promise to its customers to operate with complete integrity and to uphold the highest industry ethics. The company ethos is based on the belief: "Better values, combined with better technology produces better results." The rest, he said, is history. Through the years, Msaddi has only grown from strength to strength. For Firas, there are few key ingredients that got him where he is today. “In my opinion, smart work is a given. No one decides to wake up one day and work smart the next day. Having the drive and ambition, coupled with hard work, are essential ingredients." "I've really worked hard to get to where I am. Every one of us can reach success in life with the right ethics and value system. Each one of us has the opportunity to build our own personal brand. Unfortunately some get lost in transit." "I could not have reached where I am without the support of family and friends. I truly believe that they are my blessing from God. I have been married for 11 years and feel very lucky to have a strong woman by my side." "At the end of the day, I believe that the harder you work, the more you learn. The more you learn, the harder you work. The more experience you get, the faster you progress; the faster you progress, the sooner you get to where you want to be. I always focus on my goal."